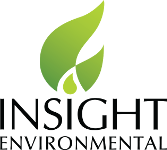 Insight Environmental specializes in Leak Detection and Repair (LDAR), Continuous Emissions Monitoring System (CEMS), Optical Gas Imaging (OGI) and Unmanned Aerial Vehicle (UAV) services. The jobs are all different, but the outcome is always the same: zero non-compliance and customized solutions that work. Our trained technicians provide clients with customized LDAR and data management programs, CEMS services, regulation compliance assistance, optical gas imaging, and UAV services. Our team is composed of dedicated, accountable, and hardworking professionals committed to developing solutions and strong relationships with our clients.